This June 26, 2018, file photo shows then-General Electric Chairman & CEO John Flannery being interviewed on the floor of the New York Stock Exchange. 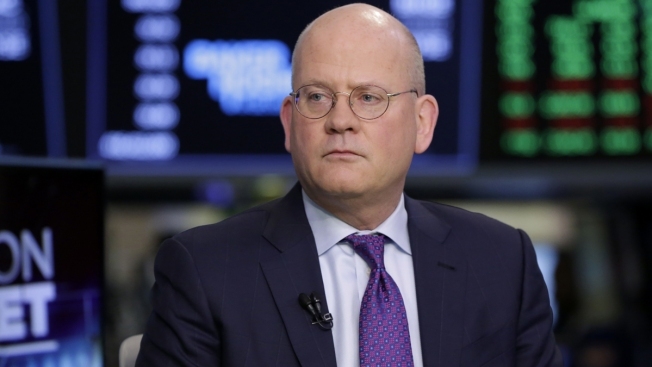 After less than two years and a precipitous decline in the share price at General Electric, John Flannery was ousted as chairman and CEO of the century-old company. Flannery took over for longtime CEO Jeff Immelt in August 2017 with the company trying to re-establish its industrial roots, albeit a high-tech version of itself. However, as Flannery has restructured the multinational conglomerate, its value has dipped below $100 billion and shares are down more than 35 percent this year, following a 45 percent decline in 2017. It has not gotten any better. The company was booted from the Dow Jones Industrial Average this summer, and last month, shares tumbled to a nine-year low after revealing that is marquee gas turbine was flawed, an 'oxidation issue," forcing the shutdown of a pair of power plants where they were in use. GE warned Monday that it will miss its profit forecasts this year and it's taking a $23 billion charge related to its power business. The company said Monday that H. Lawrence Culp Jr. will take over as chairman and CEO immediately. "It is a privilege to be asked to lead this iconic company," Culp said in a statement. The 55-year-old Culp was CEO and president of Danaher Corp. from 2000 to 2014. During that time, Danaher's market capitalization and revenues grew five-fold. That's a track record that GE, after 18 months of punishing declines, is hungry for. The turnaround effort under Flannery does not appear to have gained the momentum desired by the board. Just six months after taking over as CEO, Flannery said the company would be forced to pay $15 billion to make up for the miscalculations of an insurance subsidiary. While Wall Street was aware of the issues at GE's North American Life & Health, the size of the hit caught many off guard. In June GE said it would spin off its health-care business and sell its interest in Baker Hughes, a massive oil services company. GE has been selling off assets since the recession, with the latest divestitures coming after a yearlong review by Flannery. Flannery had vowed to give GE more of a high-tech and industrial look, and to make the company simpler and stronger by focusing on aviation, power and renewable energy — businesses that he said are poised to grow. If that strategy is still realized, GE will be even more removed from consumers, catering instead to other big companies like airplane makers and utilities. GE traces its roots to Thomas Edison and the invention of the light bulb, and the company grew with the American economy. At the start of the global financial crisis in 2008, it was one of the nation's biggest lenders, its appliances were sold by the millions to homeowners around the world and it oversaw a multinational media powerhouse including NBC television. But the company became almost unmanageable, given its broad portfolio. Shrinking in size and scope has become the focus. Shares of General Electric Co., based in Boston, surged 14 percent before the opening bell.